I will not be answering any questions concerning where some of my other mods went. Great mod, thanks! But wouldn't his standard red texture fit better for immersion? I mean - his armor is all he's got and it's red by default. This model is obviously an underarmor without most of armor pieces, as if he removed them for convenience, so the ones that remain should be red too (that collar thing with chest plate). What do you think about the idea? Or any way I can change it myself? I don't know about that. Surely getting more sets of clothes would be on the priority list, because it's not reasonable to think he wears the same outfit for months on end. It would get manky after a while, and I'm sure there's competent tailors on the Citadel that could make him something that fits. 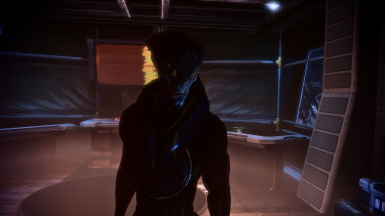 Unless he's got a wardrobe full of identical armor sets which, come to think of it, sounds like Javik. 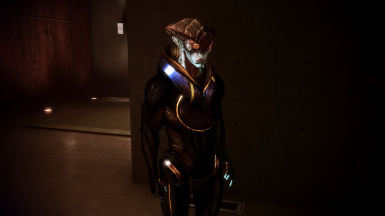 Fantastic work, Know of any way to make this his combat outfit in missions ? Amazing mod! 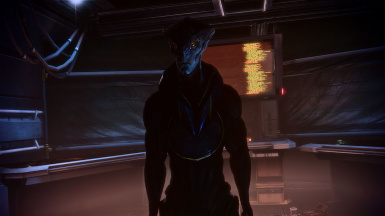 I like Javik (often take him with me), but seeing that his armor everywhere (a little bit annoying)....This clothes suits him greatly (pitty Bioware didn't use it as another armor). Thank you so much! Amazing! I image it must have been a lot of work! Can you please update this mod to 4K or atleast 2K textures? Nice mod. 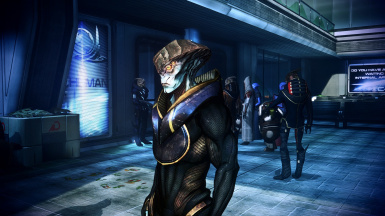 I also like that only BioH_Prothean_00_NC is modified; makes it very compatible with other mods, which is always great. Thanks. 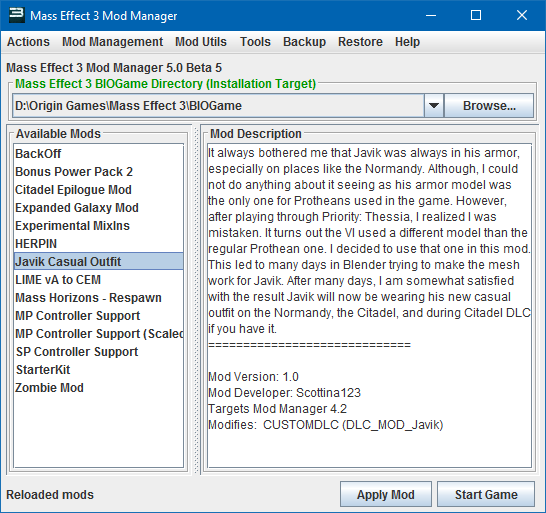 I was very lucky that Javik's casual outfit was only in one file. I also learned my lesson from last time and mounted the DLC very low. OMG, this is something I've been looking for a while now! I was even going to request it on the forums but now this?! My god... thank you so much for this mod! I love it so much omg. Slammed that endorse button!!! You need to update the file on nexus so users will see the changes. Good find on the model being different, I would have never guessed that.